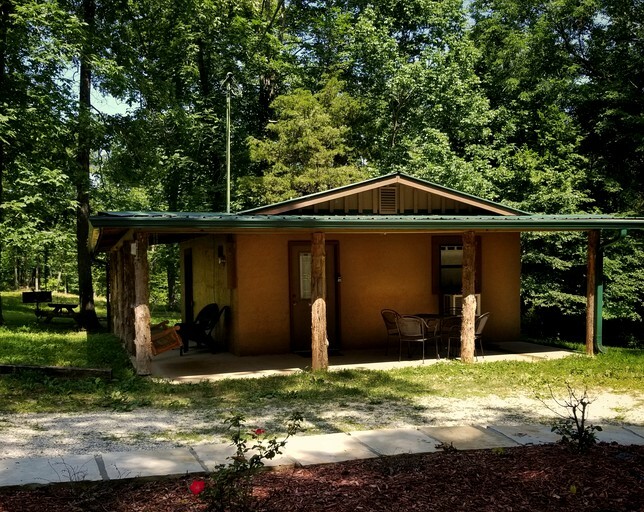 This cabin rental is near the Ozark Mountains in Arkansas and just a short walk from the Blanchard Springs Caverns. It offers up a rustic interior with modern amenities and luxury appointments. 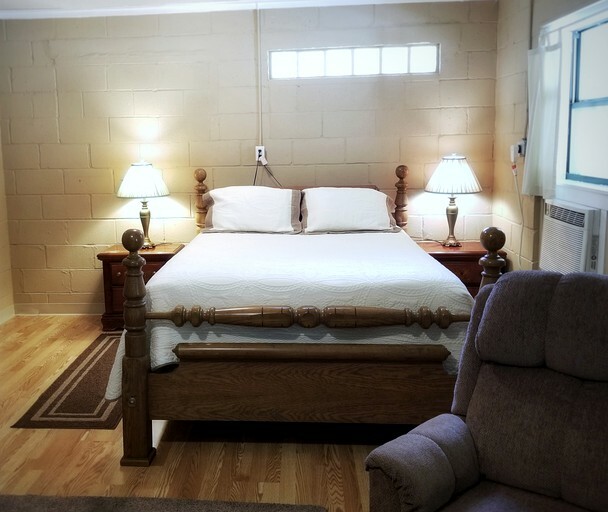 Situated only six miles from downtown Mountain View, guests who stay here will enjoy a secluded vacation with everything they need within arm's length. Sleeping up to five guests, this cabin comes set with one bedroom and one bathroom. 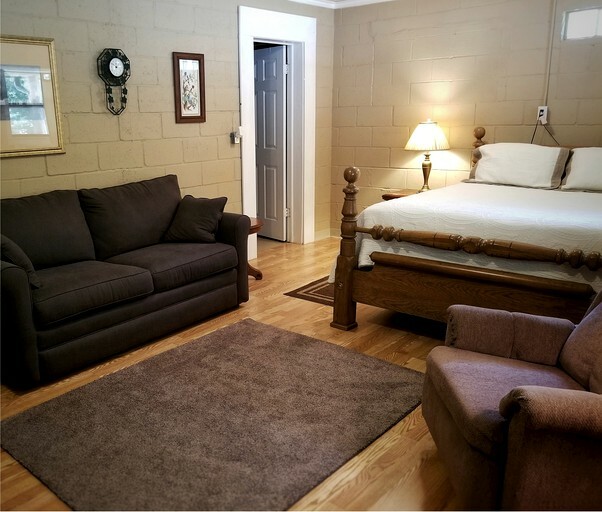 The bedroom is furnished with a queen-size bed, while additional guests can sleep on the sofa bed and the extra single bed provided. Satellite television is included and guests will enjoy having a full kitchen with modern appliances. 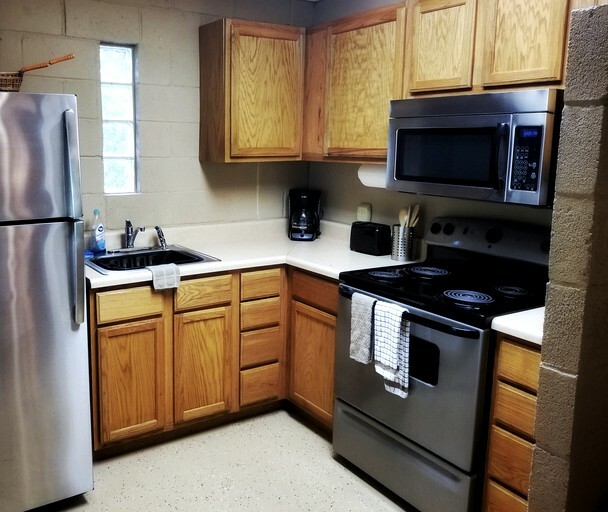 These include a full refrigerator, a four-burner stove, a microwave and a coffee maker. 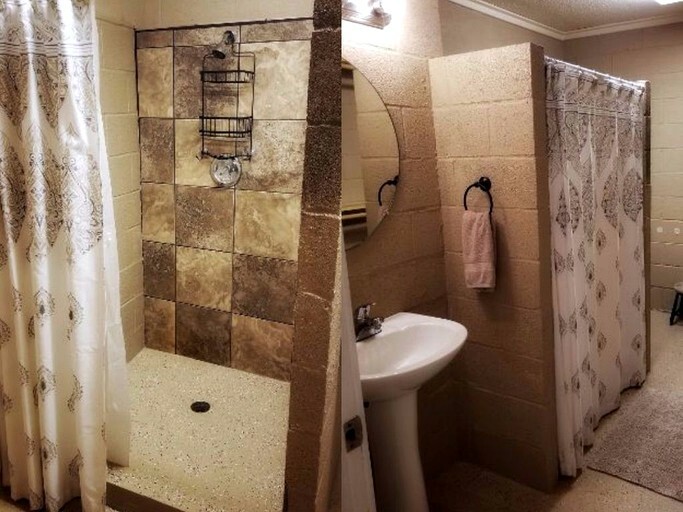 Linens are provided and the bathroom comes with a spacious shower. 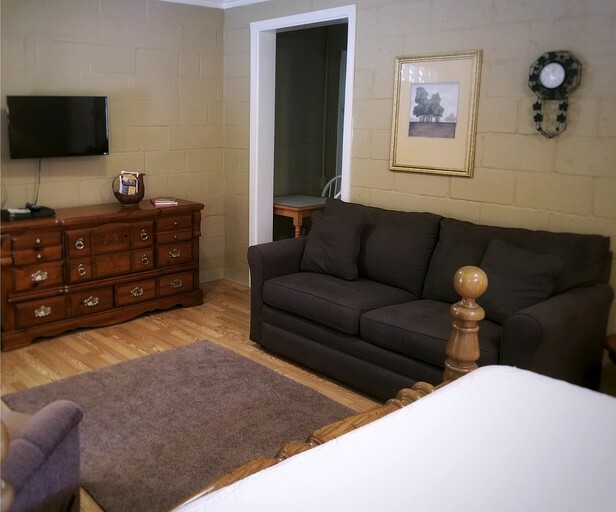 Top facilities here include free parking on the premises, wireless internet, and satellite television. 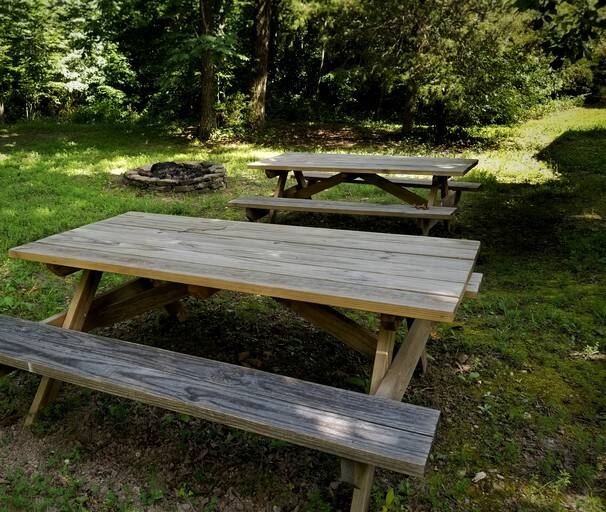 In addition, guests will have an outdoor picnic area, heating and air conditioning provided. This host also provides the essentials including shampoo and a hair dryer for guests' use. Hiking here is truly one-of-a-kind and the perfect destination to enjoy a secluded escape. 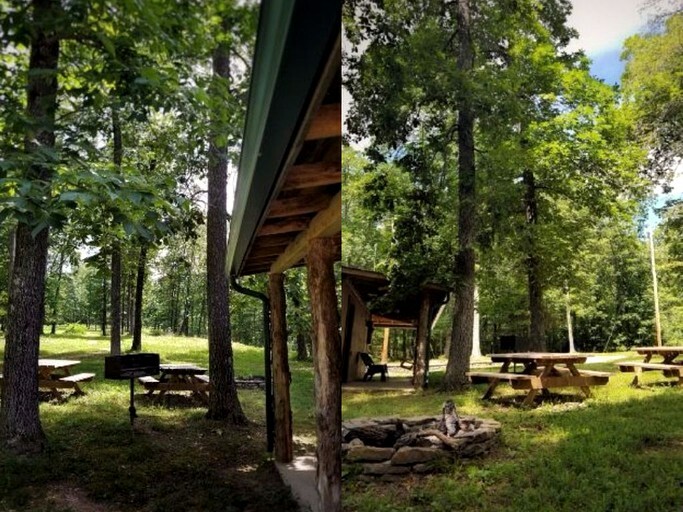 Both the Syllamo Mountain Bike Trail and the Blanchard Springs Recreation Area are ideal places to spend the day with the family. 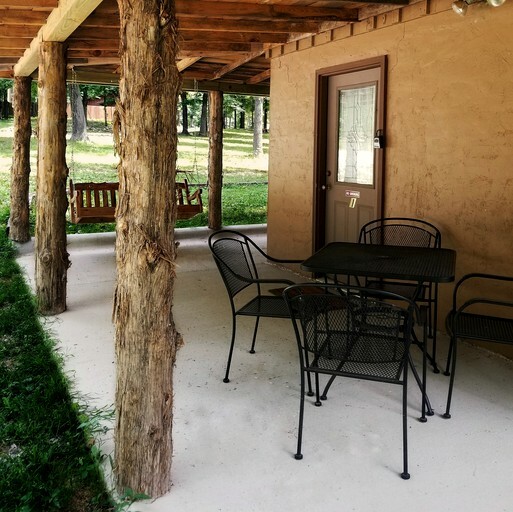 Additionally, guests can take trips to the historic Old Mill or head to the OK Trading Post for a peek at the local ranch life. Adrenaline junkies can head to Loco Ropes, a popular zip line and aerial adventure park perfect for adventurous groups. Additionally, guests must visit Blanchard Springs Caverns, where they can tour the caves by way of the Dripstone Trail. On Sundays, glampers can enjoy a leisurely trip to the Mountain View Farmers Market, which provides up to 80 farmers and food purveyors between 9:00 am to 1:00 pm. 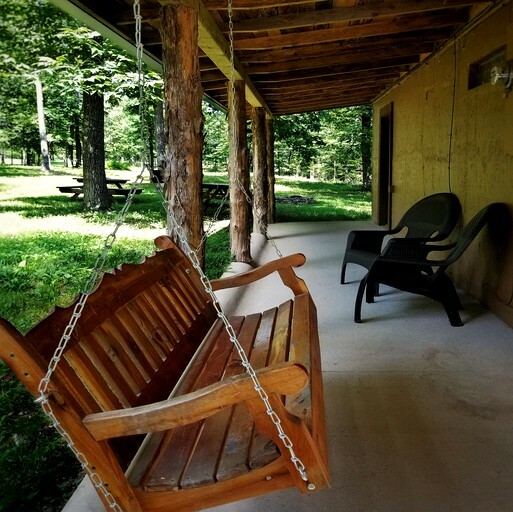 Guests will also be just a 10-minute drive away from Ozark Folk Center State Park, offering exceptional wildlife, as well as music, crafts, and year-round cultural events. This property does not allow smoking and is not suitable for pets, parties or events. Check in is anytime after 2:00 pm and check-out is at 11:00 am. Two night minimum for weekend stays starting on Friday or Saturday night.